Documents, Serial Numbers, Memo's etc. Serial Number information, IH documents and memo's stuff not generally sent out to the public. Parts by Moog, NAPA, McMaster, etc. 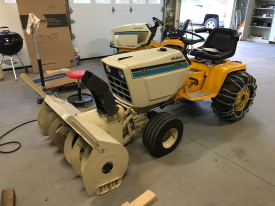 Here are some "how to" items that our members have written...items include starter rebuilds, clutch rebuilds, diesel tractor upgrades, QL engine cradle upgrade and more!! There are overall 325 downloads with a size of 1.14 GiB / 10 GiB. This includes 2 external downloads.